Don’t Buy YouTube Views: Choose Veedoo! The concept of buying YouTube views has almost become obsolete. The search for the best site to buy views has prompted people to focus only on prices and view packages (also VEVO) that guarantee high numbers to be exhibited publicly. Buying YouTube views without a strategy or a real YouTube promotion campaign that aims to grow on YouTube while also monetizing your channel has definitely lost importance for all those who choose to start a real career on YouTube. The real challenge is to create quality content (not just buying of views) and understand the mechanisms that play a key role when you decide to promote videos via YouTube adwords or trueview advertising. It’s all too common for people to buy YouTube views running Google ads without a plan. Quality video content paired with adwords for video and a YouTube video promotion service allows you to make the most of all the tools offered directly by YouTube. 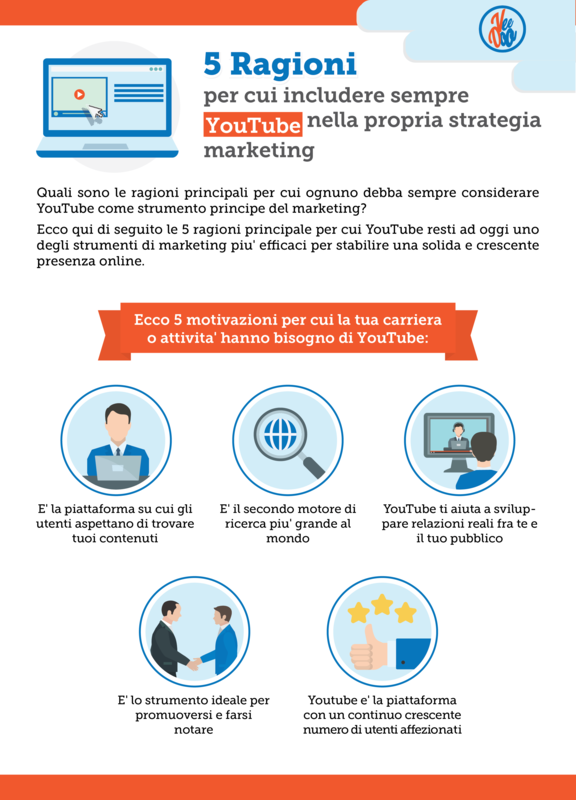 Why focus your promotional video strategy on buying Italian or international YouTube views generated by a bot, when you can show and promote your YouTube video campaign to a real audience? Veedoo, through the advertising channels offered by YouTube, offers you the opportunity to promote your video, advertise on YouTube, and thus make yourself known to an Italian, European, or International audience that has already expressed interest in videos similar to yours! Advertising on YouTube has never been so easy! Want to know more about YouTube video ads? Wondering, how much does it cost to advertise on YouTube? Want to buy real YouTube views via Google ad? We have developed a practical guide to direct your purchase of the most suitable promotional video campaign for you! Learn how to promote your YouTube channel, gain more views, use YouTube views video marketing, and how to create successful adwords video campaigns. From today on, you will no longer have to focus on your “growth” strategy for YouTube promotion. Find success on YouTube by buying YouTube views generated by software and view exchange programs! Grow your channel and your numbers on YouTube by getting exposed to an audience that is 100% in line with your content! Welcome to the era of video marketing! Welcome to Veedoo! Increase Your Video Views Today. SEE THE PRICES OF THE VIEWS! What exactly is video advertising? Chapter One: What exactly is video advertising? The advent of the digital age has brought about enormous changes in the world of communication, especially in relation to how to promote new products on the market. To effectively reach a specific group of consumers, we need creative and direct messages that capture the curiosity and attention of consumers. The advent of the digital age has brought about enormous changes in the world of communication, especially in relation to how to promote new products on the market. To effectively reach a target group of consumers, we need creative and direct messages that capture the curiosity and attention of consumers. The digital world has seen a growing demand for video content, which has now become a new tool for creating and creating a relationship with target audiences. The arrival of video advertising has turned out to be the next step for all those who want to have maximum exposure on YouTube, a leading platform not only in the cultural and entertainment sector, but also in the advertising sector. YouTube is proving to be an excellent resource for the industry, showing that it is able to direct the choices of digital users. Why is YouTube used? The reasons are many and varied ranging in various areas. 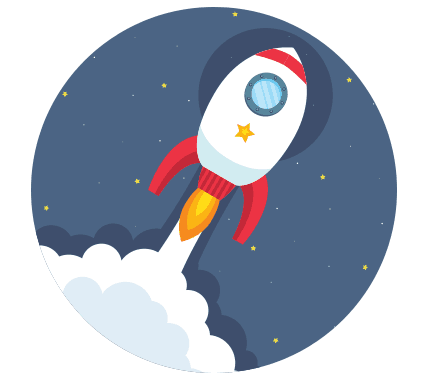 This platform is now the second most used search engine in the world, and offers various categories of content not only to artists, bloggers, trappers and leading companies, but to all those who want to advertise themselves and develop a strategy based strictly on the creation and promotion of video content. Video advertising is now essential for those who want to make themselves visible through YouTube. Contact us, or start a promotion now! Chapter Two: What exactly is video advertising? Doing video advertising campaigns does not mean buying views. YouTube belongs to Google, which bases its advertising logic on the use of Google Ads. YouTube also uses Google Ads and adopts an advertising technique based on the use of keywords in video advertising. The aim of advertising a video is to make that video as visible as possible on YouTube through the use of keywords. The video will in turn make the channel and the brand it contains more visible. The distribution of the video on the platform will allow you to convey the traffic of views to that particular video simply through a video marketing action that makes your video visible to an audience that has already expressed liking for similar content. YouTube combines two elements in a single platform: on one hand, the power of video distribution; on the other hand, the positive advertising effect of TV. These two components are perfectly suited to positioning techniques and online engagement features. 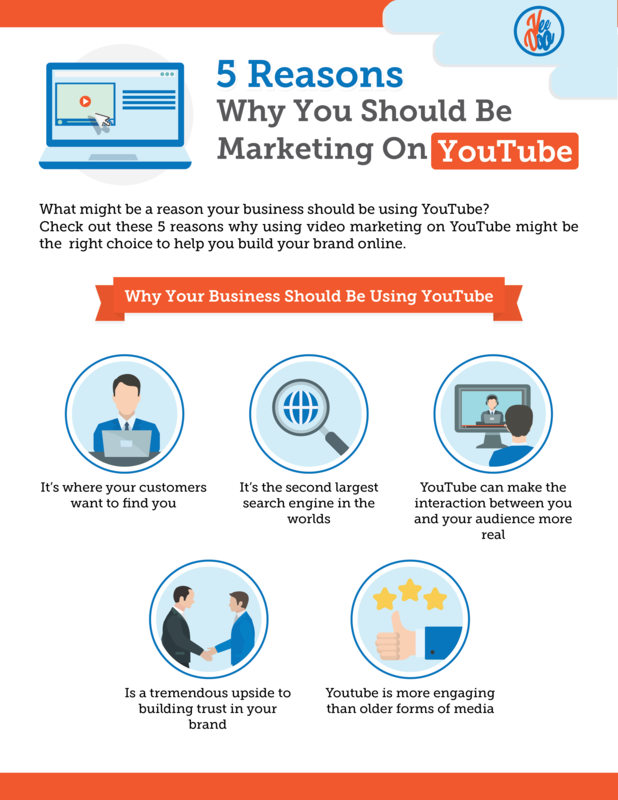 YouTube makes your brand’s video communication perfect. Until about ten years ago, YouTube was a new reality in the digital world that did not include exclusive commercial areas. Today the platform remains the most visited channel with ever-increasing users. Nearly a billion visitors access YouTube every month. In Italy alone, the phenomenon has almost twenty million users who view 1.2 billion pages every month. Where does this success come from? The credit goes to users who view videos, to those who create content daily, and especially to brands that act as sponsors and / or advertise their products. Marketing professionals have understood how much platform users love to look for new video content every day. More and more artists and vloggers make videos specifically for YouTube and the promotion of videos through YouTube advertising allows brands to easily and effectively reach a group of real consumers who they otherwise would not have reached. – tell interesting and engaging stories in which the presentation of the brand is only a side dish. – establishing a relationship between consumers and the brand. The user’s attention must be captured from the beginning: the first three seconds of the video being promoted can already cause the marketing strategy to fail. If you watch a video on YouTube and see an advertisement appear before the video starts, you may be intrigued by it and encouraged to learn more about the brand through online searches. However, the presence of an advertisement before a video can also create the opposite effect: the user is not attracted by the advert and consequently will not be led to learn more about the brand. The success of creating a communication link between consumers and video will determine their interest in the advertised video. This will obviously have a positive effect on increasing the visibility of the channel and the video itself. A channel that earns subscriptions can exponentially increase the number of users reached for each new video publication, making this strategy scalable and sustainable over time. What changes has YouTube brought to advertising? Looking at the marketing techniques used in the past decade; it seems obvious that we have moved away from the old ways of advertising the products of a brand. Until a few years ago, the only form of advertising was television, which provided for the transmission of advertising for various types of products and brands. Today, however, the vast majority of investments are aimed at the web. This phenomenon is understandable when you look at how people’s way of life has changed. Before, consumers used to spend most of their free time watching TV. Today, with the arrival of computers, tablets and smartphones, we have poured more into the world of the Internet, which puts us directly in touch with the web. With one click you can reach the world of the internet at any time. That’s why brands and artists use YouTube to promote their products. In Europe, investments in digital advertising have outpaced those in television advertising. This change of direction has led to massive growth in mobile and video advertising. Many users in an attempt to make their videos viral have resorted to the buying of views, which is absolutely illegal. It’s aimed at giving an image of success and popularity ‘leveraging a mechanism of numbers’ according to which a video with lots of views is worth being seen. Although the risk of ban (video removal) is very high, many artists have resorted to these means of promotion called fakes, which are now more exposed than ever to the risk of video removal. After the famous blocking of views set at “301 views” YouTube has created powerful filters through which it scans and gives a ‘quality score’ not only to incoming views based on duration, IP address etc. but also to the channel itself establishing for each case a possible manual inspection to verify the authenticity. Views express an intention of visualization by a (real) person. “As part of our long-standing commitment to keeping YouTube authentic and rich in meaningful interactions, we have periodically started checking the views that a video has received. In the past we only analyzed the views considered spam; starting today we will periodically check the counting of video views, removing fraudulent views. We don’t expect this approach to affect a tiny fraction of YouTube videos, but we believe it’s critical to improving the accuracy of view counts and maintaining the trust of our fans and creators. In light of the above, it is clear that promotional investments should be channeled exclusively into production & advertising. 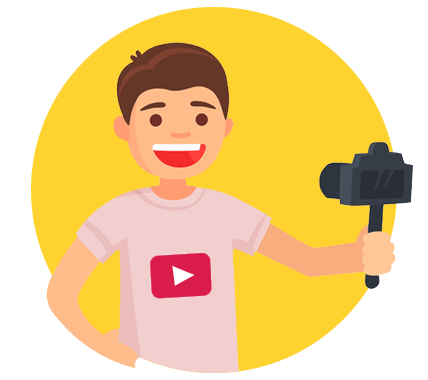 Today, through Google Ads, YouTube offers all the most suitable tools to put aside forever the idea of using fake views, and embrace the idea of video marketing as a real investment which is ideal for the growth of your channel on YouTube. For an entrepreneur, a blogger, a rapper/trapper, an artist, a gamer or anyone else who considers it important to advertise their brand through a video, it is essential to understand how they intend to reach their target consumers. The target audience is based on a promotional strategy that aims to associate 100% video content in line with the video content being promoted. YouTube is used by people of every generation. Initially, the group of users that used the platform included the generation of young people aged 18 to 24 years. Today, people of all ages are using YouTube. The keywords to select for more visibility depend on the type of user. The categories of users are distinguished by age, interests, cultural level, and other individual factors. Each project aimed at promoting videos on YouTube must have a set of factors that include: themes, geo-location, keywords, differentiation of approach based on age, gender and culture. The aim is to make the information you want to convey accessible through video advertising. In this way, the campaigns define what users will see. To make the approach to users of this important platform effective and correct, it is necessary to go beyond the concept of buying views in order to better understand that YouTube users are divided into two main macro categories: “light TV Viewers” and “Heavy TV Viewers”. The first category is composed of those who watch TV a few hours a day due to lack of time or lack of interest. The second category is composed of those who follow the television world in a massive way, but still use YouTube as a preferred online channel. The consideration of these two main categories of users on the platform makes it easy to understand the world in which brands can establish a more direct, immediate, and intense contact with them through video advertising. Promotion videos on YouTube are designed to create brand awareness by studying a method that increases the flow of users on the homepage of the site (usually contains information about the brand) or viewing genres. There are mainly three factors that have led to a change in the way the web is used for brand advertising. These factors are the key points for the success of an advertising campaign and represent the turning point in the world of video advertising, by directing it to YouTube. Let’s start by describing each of these factors and explaining how they lead an advertising campaign to success. The first factor is based on the concept, “the world is mobile” which is based on the evolution of smartphones, apps and sites created for these devices. Nowadays (almost) everyone owns a smartphone, a PC, a tablet or a smart TV. This technology allows you to connect to the Internet and allows users to enter the world of the web. Among all these devices are smartphones that rank first among the devices most used to connect to social networks, to do research, and to connect to the YouTube platform. This is confirmed by an industry study which says a person uses their smartphone about 150 times a day to access the internet or watch videos. Another interesting fact is that 60% of all YouTube views come from smartphones. The use of the smartphone consists of short interactions that make the subject receptive to stimulating messages and of interest to the user. In the reality of the mobile world, the boundary between online and offline is increasingly blurred and almost does not exist anymore. This phenomenon can be considered a direct consequence of globalization that has made virtual reality an integral, if not indistinguishable, part of concrete reality. The use of smartphones is a constant in the daily life of anyone who owns it. These devices accompany users at all times: in shops, on trips, at work… but also at home while watching TV. The possibility to be always connected and to be able to use all the channels and apps available online allows us to receive information in real time on prices, products, reviews of restaurants and hotels, costs of air flights, movie news and much more. The use of a smartphone creates such a high level of involvement that people become estranged from the world around them. This dynamic factor is to be taken into account when creating a video for YouTube advertising because the ad must stimulate the emergence of a new need, or the need for the product that is sponsored. Often television ads are not even watched; in the case of YouTube, however, a video designed and targeted at consumers can gain popularity to the point of becoming viral. This dynamic shows how important the smartphone component is in attracting new consumers to the market. In conclusion, what can be said about this first factor is that what is overlooked by the television world must be studied in order to increase the users of mobile media. The second factor is based on the concept of “premium is personal”, i.e. it is based on the fact that each individual internet user is unique. Each user chooses what they want to see and when they want to see it, depending on what captures their attention most. If you then look at the way inserting advertisements has created a connection between consumers and brand manufacturers, you realize the importance of creating an advertising campaign that aims to interact with a possible new customer. To better understand how the way of doing marketing and the relationship between customers and companies has changed, we at Veedoo have taken a step back to analyze the evolutionary history of this process in continuous development and change. Initially, advertisements were printed on paper or sent to radio stations. With the advent of television, advertisements began to gain importance and were included in a dedicated programme, like the “Carosello”. With the arrival of private television channels, advertising sessions were placed within the programming and television programs. Brands began to finance broadcasters to advertise their products because, on one hand, more and more people owned televisions and, on the other hand, private broadcasters looking for sponsors in exchange for advertising were increasing more and more. New marketing strategies are focused on making advertising content available 24 hours a day so that it can always be reviewed, commented on and shared. An advertisement increases in importance and visibility when it is associated with equally important and interesting content. With YouTube, it’s easy to see what consumers think is relevant because they just need to refer to the views. Positioning is determined by the clicks made by customers, who express their preference. Video advertising has evolved into creative programmatic. Among the factors that determine the success of an advertising campaign, we speak of a third component to be taken into account: the “Creative Programmatic” aspect. It offers 360° virtual reality videos and will soon become the new way of advertising as a consequence of the natural evolution of video advertising. In Italy, the 360° virtual reality video advertising on YouTube has been used by Fiat. The videos have been designed in such a way to make the passenger protagonist be able to move in three different routes typical of Italy in the sixties. Do you think, like us, that Google Cardboards will lead YouTube to a new evolution? Google Cardboards can be purchased at reasonable prices and already allows brands to invest capital in extremely creative and interesting video projects. The innovative and imaginative features of the videos will allow a normal campaign to become an original and successful campaign. Offline marketing has been progressively overtaken by online marketing. This has been detected by cross measurements between devices and user announcements in real time. Analytical tools for online market research have far greater potential than past methods. Today it is possible to reach consumers at every important moment of their lives. One of the most useful and relevant data points for those planning sponsorship through YouTube video advertising is the ability to instantly access metric measurements that compare videos, channels and devices as well as customized ads from the viewer. Let’s take as an example a couple of friends belonging to the same socio-demographic group with different tastes, so as to understand the importance of an advertisement with effective but no invasive messages. If the first guy is passionate about sport, he will be more inclined to look at and consider interesting ads that fall within this area; in the same way, the second guy who is passionate about cooking will do the same for this area of interest. Data access to individual knowledge of users who are part of the same socio-demographic segment that highlight their differences in taste, makes it possible for brands to target their messages to the segments of interest most useful to increase the success of their product. The first factor that determines the success of an advertisement is the knowledge of the different types of consumer interests combined with the right way of channeling the message of the brand to the target audience you are working with. The data analyzed during the creation and optimization of each campaign is not invasive but is advantageous in creating an effective and direct communication. Watching an entire advertisement on YouTube is no longer mandatory. New creative studies have been carried out on the formats to be used for advertising campaigns. This was made possible by the analysis of data quality. A key element is to understand how and when the customer wants to see all the advertisements. The old approach was based on the fact that the viewer or user had to watch an advertisement for its entire duration (minimum 30 seconds). Today, this logic of marketing thinking is no longer in use and has left room for the “true view” format which allows viewers to continue to watch the video or skip the ad after the first five seconds. This new video format has been adopted by both global brands and other lesser-known ones. It has a special eye for smartphones through Bumper Ads. “A Bumper Ad is a six-second video format ideal for driving reach and frequency”. When it comes to smartphones, Veedoo recommends producing high-quality yet short-lived, video advertising. The optimal communication that comes from this type of approach is the result of relevant studies that have identified the amount of seconds optimal for advertisement communication. You can find this type of communication on Bumper Ads, or six-second video ads made exclusively for smartphones. These videos are perfect when combined with other formats because they recall the keyword of the sponsored brand without negatively affecting the user experience. The risk is that they will feel oppressed if their freedom to watch what they want on YouTube is limited. “Google Preferred aggregates YouTube’s top content”. Although the real world is increasingly directed towards the virtual world of the Internet, we are still trying to increase the impact of TV communication. We at Veedoo, are very interested in this “new” offer called Google Preferred which is based on the promotion of video content on YouTube through television criteria. The main purpose is to increase the integration with the video planning of media centers. Google Preferred allows videos to be positioned in 5% of the most popular channels with the highest amount of visibility and the highest degree of likability. High visibility and likability represent an important return on investment. These two components combined with television give the possibility to increase exponentially the brand awareness within a given user group of light TV viewers who normally do not watch much TV. The digital world provides daily ideas that must be carefully considered if you want to achieve success and keep your brand competitive. YouTube is the main reference point for studying the phenomena of video advertising. In fact, it was the YouTube platform itself that led the change in digital advertising and dictated the rules that influence consumer choices. 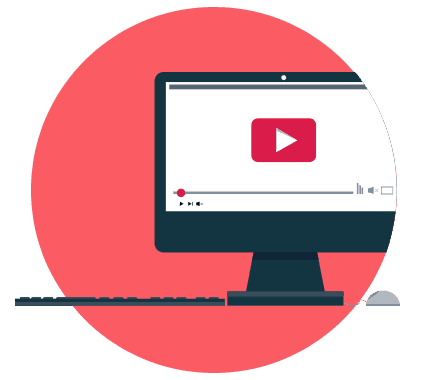 YouTube combines the technological innovation of videos with their different and innovative formats, as well as attention to the needs of users. 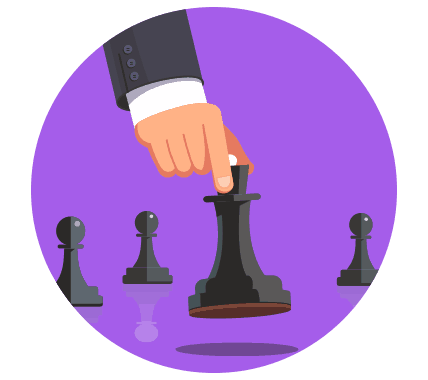 The focus on these two elements can determine the success of an advertising marketing strategy. When technology and attention to customer needs come together, the result is the creation of relationships and value opportunities that stand the test of time. The main actors of video advertising are advertisers and creative viewers. The spectators who influence creators and advertisers are those who make the video advertising project come true. As mentioned above, it is the viewers who choose what to watch and when. Creators using YouTube try to produce videos taking into account customer tastes and techniques to present the message so that the views of the videos increase and get shared. Usually, YouTube is considered the best tool to reach out to your audience. Advertisers who rely on the online platform will choose the areas of investment for their capital to increase revenue and improve the efficiency of advertising. In the promotion of video advertising on YouTube there are no constraints or limits. In addition, a campaign can make a video visible in different ways. What are in-video overlay ads? These are illustrated ads in 480x70 format that appear at the bottom of the YouTube video player in its viewing pages. When the user starts playing the video, the overlay announcement appears in superimposition. It is also possible to add a companion display ad (format 300x250). Please note that in-video overlays can only be used for sponsorship campaigns with reservation. It is also possible to insert the publication of illustrated announcements as overlays in the YouTube pages. The preferred channel for promotional activity on YouTube is the platform itself, but you can also use the different Google partner sites. For this reason, three formats have been created to sponsor videos in which ads on YouTube appear at different times and in different ways. Currently the three most used formats are: “in stream”, “in search” and “in display”. We have provided a description of each one below. – In stream: a video appears before the start of the video chosen by the viewer. – In search: the promotional activity appears during the search on YouTube. – In display: this is the most articulated format and is subdivided into three formats according to the location and display mode. The in-display ads are placed on YouTube and throughout the Google network so that the video is placed on a particular page. The advertisements on the display will get visibility in the area where there are similar videos. These ads are displayed on all Google partner sites. There are also different types of ads. Red ads appear on the side of the video and can be viewed or clicked on (depending on the advertiser’s preferences). Usually, it is the views made by the computer that lead to a financial return. Overlay ads are placed at the bottom of the video and take up 20% of the window space. If you want to display it, click on the part of the window where the ad appears. In this case as well, it is the access from the PC that brings monetization. Finally, overlay ads can be totally ignored by the viewer. This type of video advertising can be placed before, during, or after the videos. If the videos last longer than 15 seconds it is possible that the viewer does not pay attention to the advertised message. In this case, the monetization is done through viewing on fixed and mobile devices and not through TV and console. “Google’s TrueView is built on the promise that you’ll only pay when someone chooses to watch your video ad”. TrueView video ads are a good way to capture the interest of YouTube viewers and the web in generating. You can create and manage your own TrueView ads in AdWords using the “Video” campaign. With these ads, you only pay when a user chooses to watch the created video or chooses to interact with one of the picking elements in them. There are two types of TrueView ads: in-stream and video discovery. TrueView ads are beneficial to both viewers and creators. On one hand, viewers can watch the videos that interest them most, and on the other hand, they get increasing numbers of views from a truly interested audience. Once you’ve chosen the amount you pay for a view, you can reach the audience you’re interested in at a fair price. With TrueView ads, you don’t have to pay every time your video is shown, contrary to what used to happen with CPM-based pricing (cost per thousand impressions). You can also publish videos longer than 30 seconds, so you can try different formats such as longer demos, customer testimonials, or videos that show the characteristics or how the product to be advertised works. Finally, TrueView ads can appear on YouTube, but also on other publisher sites. They are present in the Network Display for desktop computers and other high-end mobile devices. One thing to keep in mind is that the video content of TrueView ads must be present on YouTube. The mid-roll ads, like the TV ads, are transmitted in full screen and are used as interruptions to videos that are at least 10 minutes long. These announcements are placed within the videos and viewers are required to view the commercial. To make the presence of these ads less annoying, creators can take advantage of interruptions already present in the videos. 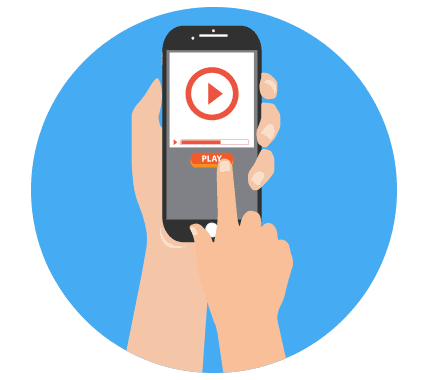 Mid-roll ads are currently viewable on all fixed and mobile devices, but as in previous cases, viewing via TV and console does not lead to monetization. It is the format of non-negligible video advertising that viewers prefer. The audience must see them if they want to continue watching the video they have chosen. They have a maximum duration of six seconds and are designed as the best to display on smartphones and tablets. These are advertisements that are displayed with a click under the description of the videos. Only those who use mobile devices can view them. What is the Cost of Advertising on YouTube? 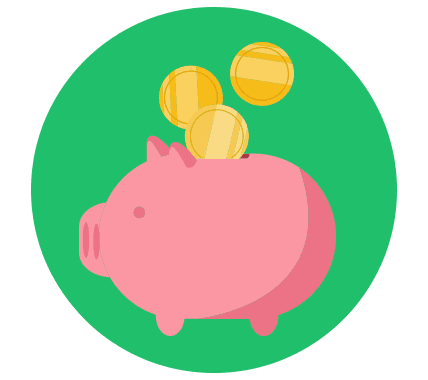 Today, unlike when advertising was done on print media or television, small businesses or successful brands can advertise their products by checking their budgets daily. A second aspect is that you pay by viewings, not by clicks. This means that the daily cost of viewing is charged when the user has watched at least 25% of the total advertisement. This means that the advertiser who used video advertising on YouTube will only pay if someone watches the first thirty seconds of the video or the video by the end of its duration. If a user stops viewing the video, the advertiser will not be charged anything. At the time of the start of a video advertising campaign, the advertiser can choose up to 10 types of customer categories based on features that include age, gender, culture, interests and locations to be placed within the brand’s adverts. Subsequently, after creating the ad video for YouTube, you can constantly monitor the views and results obtained through a program called “Analytics”, which is provided by YouTube. Analytics rectifies and modifies the video according to changes in advertisement needs. In order to make a brand successful and enhance the value of a product to be marketed, it is necessary for the advertisements to shine through and convey real emotions and passions. Consumers must identify with what they see and must have a sense of being part of the history represented by the videos. Creating contact with the consumer is fundamental; the more the consumer feels empathy with the images transmitted by the advertisement, the more the possibility increases that he wants to watch the video other times and want to deepen his knowledge of the brand by visiting the website. 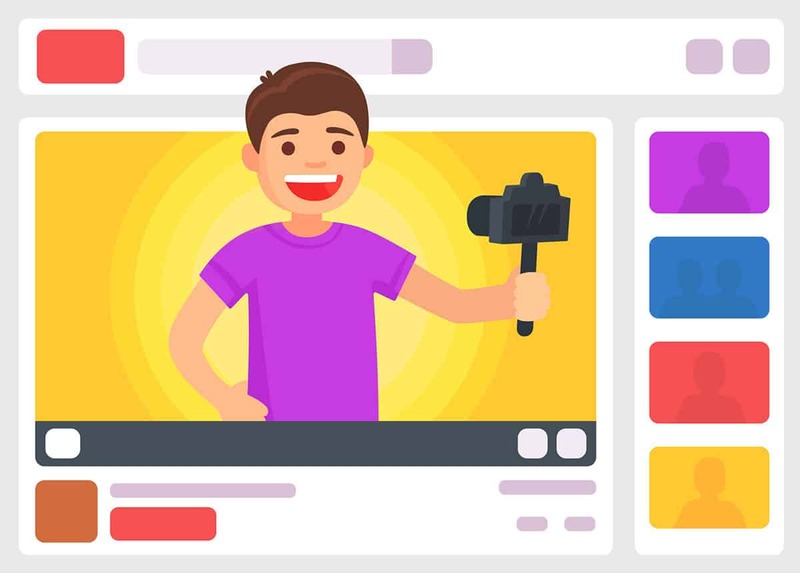 When a user feels that an advertisement represents him or her, he or she can contribute to making the video available by sharing it on social networks, to the point of making the video viral on social networks and on YouTube. Moreover, if the objective is to encourage users to visit your site or blog, you can increase brand awareness by merging the accounts of YouTube and Adwords. In this way you can both easily check the statistics regarding sponsorships and check the views that otherwise you could not see or check. Finally, the union of the two profiles allows you to make optimal use of all the functions made available by Google.